Urban areas are more popular than ever. Environments that are fun, popular or promoted often times have more demand for space than actual supply. BetrSpot is a consumer to consumer, location-based market and series of micro-markets for the trading of personally occupied, first come-first served spots. A ‘spot’ generally is a seat but can also be the physical area your body occupies, too, like a line spot. A 'spot market' can exist almost anywhere and start at the drop of a hat. They can be in a crowded bar on game night, a crowded bus or train at rush hour, a Starbucks or cafe on Saturday morning, a line for a product launch, a line for a bathroom at the 7th inning stretch, or for tickets to a cool show. When one person posts their willingness to leave or release a first come-first served spot and another is willing to entertain offering a release motivator, a spot market is in play. 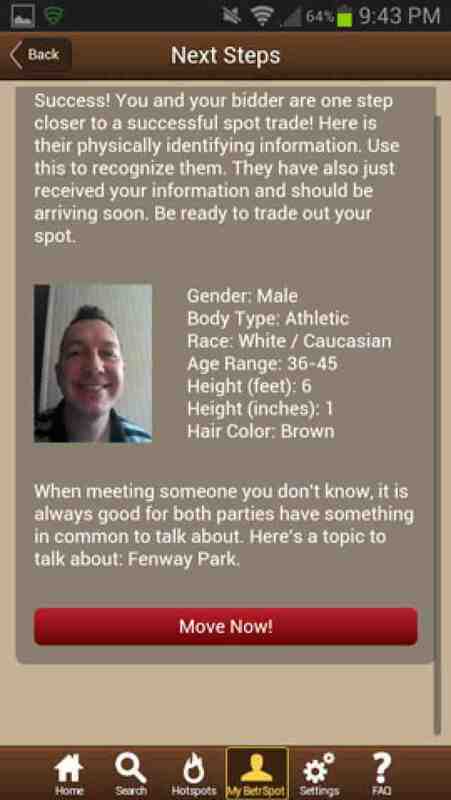 - Posting spots both in venues and lines is seamless and easy. No writing involved. Only taps. 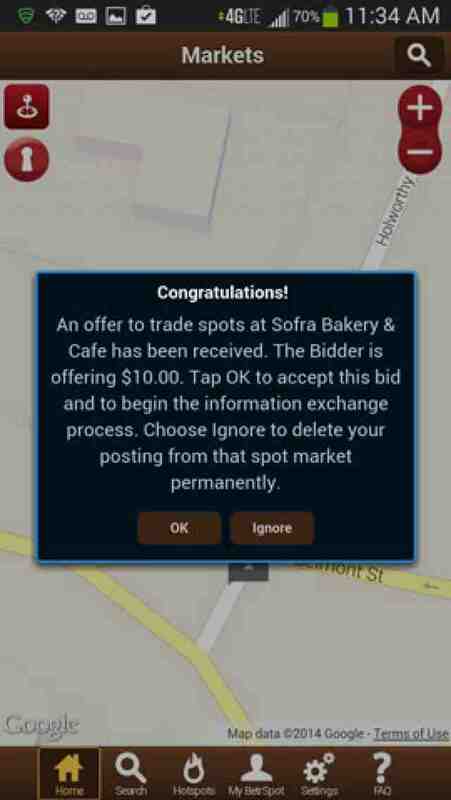 - Bidding on a spot is equally easy and fast. 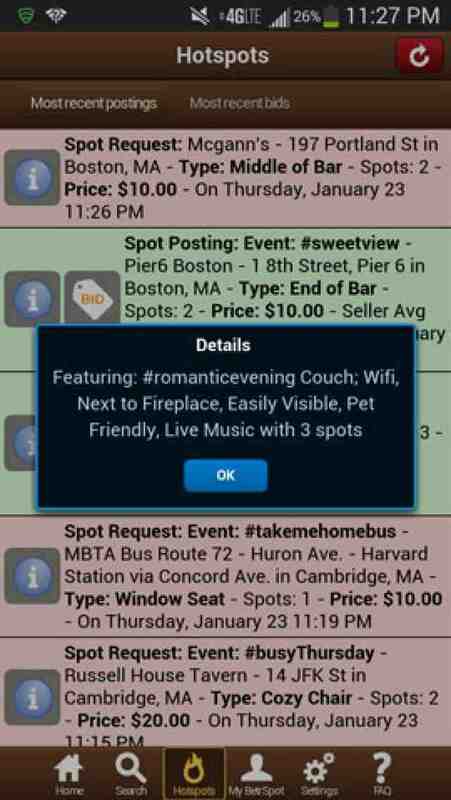 - Spot Requests help users start spot markets by offering a release motivator to others within the venue. 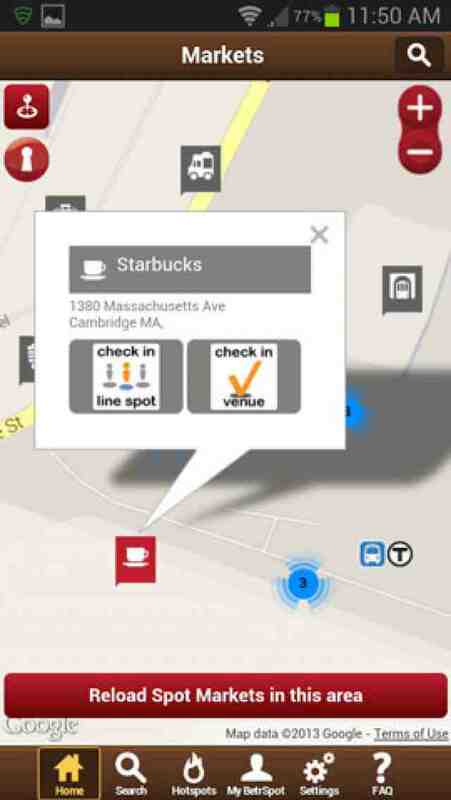 - BetrSpot coordinates the physical exchange of the space between both parties within the venue itself or line. - BetrSpot, in conjunction with Stripe payment processing, (www.stripe.com) processes each transaction so that the spot poster is compensated for releasing occupancy of the space. Stripe credits spot posters' checking accounts directly every 7 days. US dollars only for the moment. - Both parties rate each other. User ratings mathematically scored for precision with 16 pts. being the highest. - Full transparency of transactions for both parties with the MyBetrSpot tab. - Follow HotSpots to see where postings are happening and which type of spot is the most popular. - Use Search both around you or by city or state to quickly find the exact venue you want to check out in advance of showing up. - Post a Spot Request and if another user posts in response, both parties are automatically connected to begin trading. - Spot Market POI flags change color when there are live spot postings or live spot requests in them - Green for a Live Spot Posting, Red for a Live Spot Request and Half Green/Half Red when there are both live Spot Post & Live Spot Requests posted in the venue simultaneously. 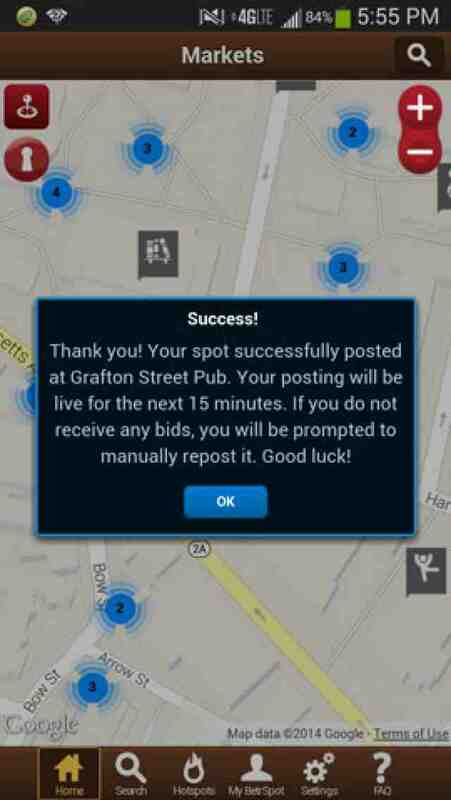 - All spot postings automatically expire after 15 mins but users can repost their spot easily with just one tap! Which is more important to improve BetrSpot? UX/UI? Clearly we're in Beta and striving to improve our app. prior to our public launch in 2/3 weeks. What would make BetrSpot well, 'Betr'? A cleaner UI? Or a more a slicker improved UX? Definitely UI. Can be tightened up for sure. UX. Spot types, spot resources, buttons, etc need work.